The reaction has been interesting to information that a new fund is to be created for ‘independent journalism in Wales’. She has stated: “It will be no secret to many of the readers of this site (Nation.Cymru) that journalism in Wales – and across large swathes of the world – is facing a crisis”. Ms Sayed (nee Jenkins) should know all about crises as she has faced many herself. She hit the headlines after her name was removed from a media conference when The Eye reported how she had been disgraced for drink-driving in her pyjamas and claimed expenses following a pop concert. 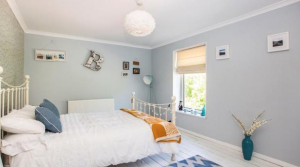 She has also put pictures of her house for sale on the internet showing a poster of IRA hunger striker Bobby Sands on the wall. In June 2016 she refused to attend the Royal opening of the assembly because she is a “committed republican” and it was a “ceremonial event”. She preferred to do constituency work instead. 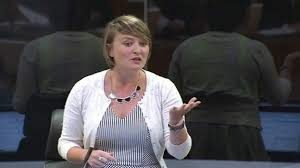 We have been alone in reporting these disturbing events and Ms Sayed cuts an unlikely figure to be proclaiming the importance of a new fund to support independent journalism in Wales. Following our earlier revelations about Ms Sayed we were subjected to abusive messages on the internet including one on Twitter, which was highly-libellous from a leading political commentator in Wales who wrongly accused us of bias. The full text of the Twitter outburst was: “Severed links with @Wales Eye (our Twitter name) years ago. Unfunny, biased, personal, superficial, mysoginistic, out of touch & bitter. That’s Wales Eye, not me”. 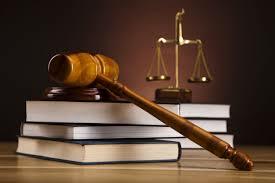 As a result we consulted our libel lawyer and a successful legal action was launched. The law has also played a central part in Ms Sayed’s life. Almost seven years ago she was caught by the police drink-driving. 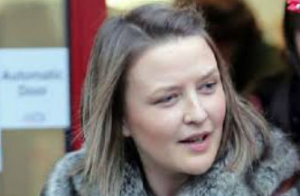 She admitted being over twice the drink-drive limit, and Cardiff magistrates court heard how she was unsteady, barefoot and wearing pyjama-style bottoms. 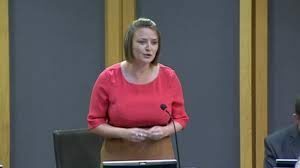 The South Wales West Assembly Member (AM) was given a 20-month driving ban, and said at the time she was “deeply sorry” about the incident. After the case, a spokesman for her issued a statement: “This incident is one I regret wholeheartedly and I am deeply sorry”. Her house with the picture of Bobby Sands in the lounge was put up for sale on Rightmove, for £125,000 with an open day due to be held on August 5 2017. Sands was a member of the IRA who died on hunger strike in 1981 while in Maze prison. In the same year Ms Sayed was advertised as ‘co-host’ of a conference examining the future role of the media in Wales. But her colourful past had been in the press, and after we disclosed more of the details, the event was publicised with her name no longer on the panel. 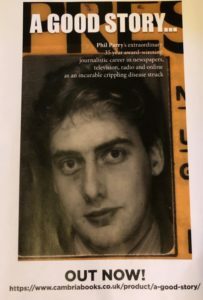 The only chair of the Policy Forum for Wales Keynote Seminar became Jeremy Miles, AM, a member of her committee, when before he was to co-host the conference. The pop incident when expenses were claimed and in which Ms Sayed again became embroiled was to see Rhianna, and reported in the Western Mail as well as WalesOnline. Despite later paying money back, she refused to apologise and insisted that she acted within Assembly rules. Before the controversy over the Royal opening of the Assembly, she had boasted of how hard she worked, yet posted a picture of a beach on Twitter, declaring it was a lovely day for a stroll. She also published a photograph of an empty street – with a message for her fans that it was a cold day for door-knocking. With a background such as this it is difficult to support her endorsement of a new fund for journalism when she says: “… people across the world are feeling increasingly disconnected from the truth and from news”. News is important – such as the news that Ms Sayed was caught drink-driving in her pyjamas. 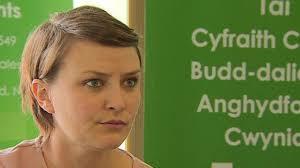 She has also said: “In Wales, I believe it’s also critical to support some more plurality of news”.